Keep your feet dry all year long in these seasonless Muck Chore Hi Met steel toe boots. With features like airmesh lining and cushioned insole, you will stay comfortable all day. 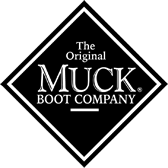 The Muck Chore steel toe boots have a waterproof 14 inch shaft and a Metatarsal Guard for protection.